Director Justin Lin and screenwriters Simon Pegg and Doug Jung were given a fairly straightforward, if daunting, task: Make Star Trek Beyond, the third installment in the hugely successful J.J. Abrams-helmed franchise reboot, represent the full scope of its 50-year existence. Well, for starters, how cool would it be to create and visualize 50 distinctive alien races? The idea is quite logically cool, Captain. But you’d certainly need someone supremely gifted in the makeup arts to be able to pull off something like that on such a grand scale. 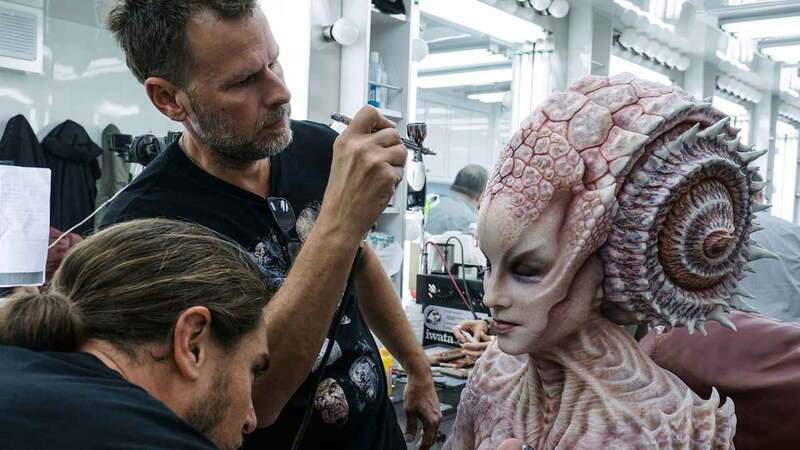 Good thing Academy Award-winning expert makeup designer Joel Harlow had been enlisted to complete this hallowed mission. The proof of Harlow and his team’s meticulous handiwork for Star Trek Beyond can be seen as of this week on Blu-ray, DVD, and digital formats via Paramount. 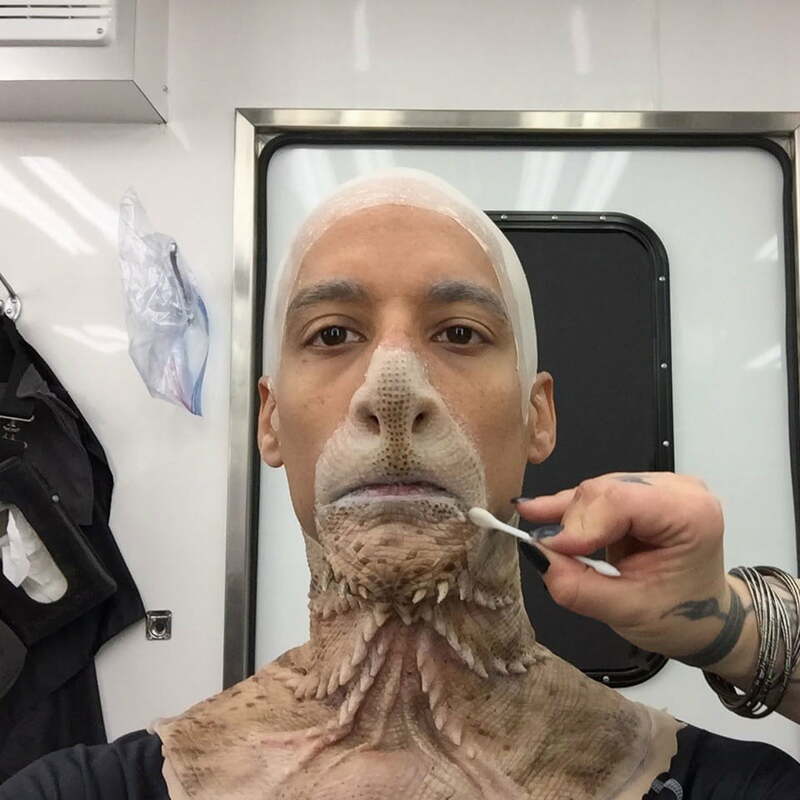 Their makeup mastery is most evident in the sheer variety and individuality of the alien races seen onscreen in Starbase Yorktown, as well as with the care that went into crafting the unique looks of the driven warlord Krall (Idris Elba) and the determined, vengeful survivor Jaylah (Sofia Boutella). Harlow’s C.V. clearly made him the right man for the job. He won the Academy Award for Best Makeup and Hairstyling in 2009 for his work on the initial Star Trek reboot installment, and he was also nominated for 2013’s The Lone Ranger. He’s been Johnny Depp’s go-to for creating and maintaining his distinctive Jack Sparrow look in the Pirates of the Caribbean franchise. Next up on Harlow’s slate are two blockbusters to come: Logan, the next Wolverine flick due in 2017, and Black Panther, which is set for 2018. 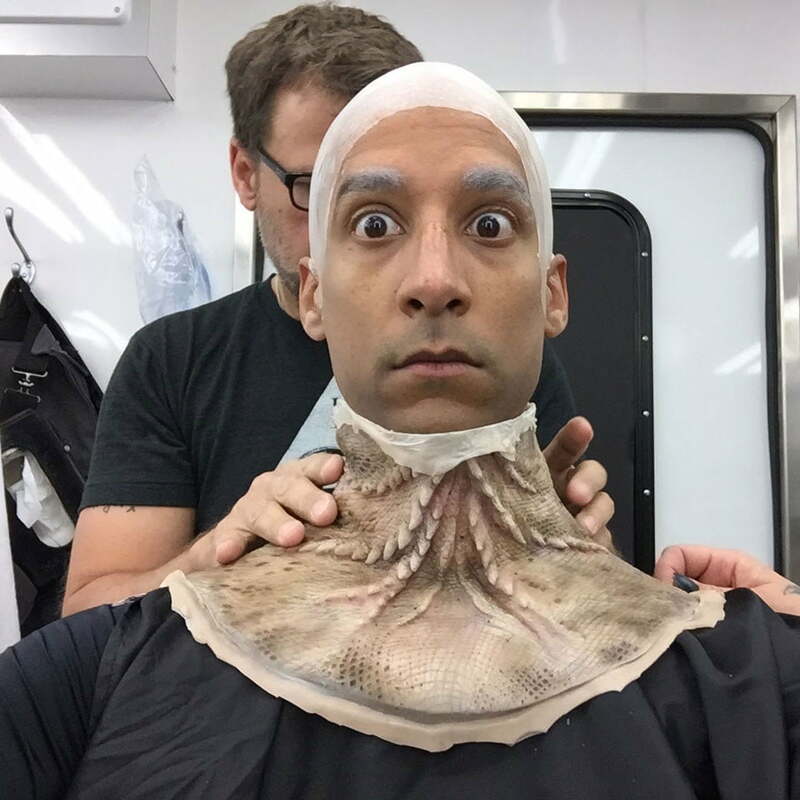 Digital Trends: Did you feel there was a special onus on you to make sure each alien face and body we see in Star Trek Beyond has unique, individual detail, because you can’t hide anything in high-def? Joel Harlow: Yes. Now that so many films are being shot on high-def, it ups the ante on what we do in regards to the materials we choose and the different techniques we choose to create the bounty of characters with. 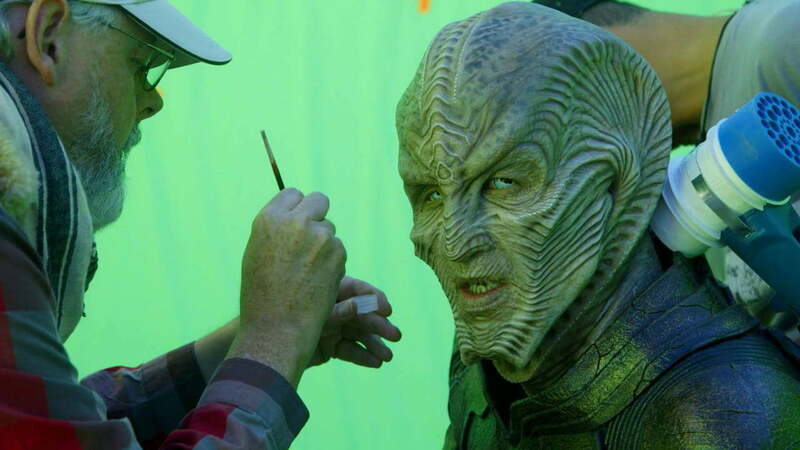 The first phase of that Krall makeup is very extreme, as he transforms from being human quite a bit. Did you get to a point with some of the alien designs where you’d say, “No, this isn’t good enough — we need to do more”? I think there were a lot of them, actually. Designing those 50 or so characters is just the first part of the process. 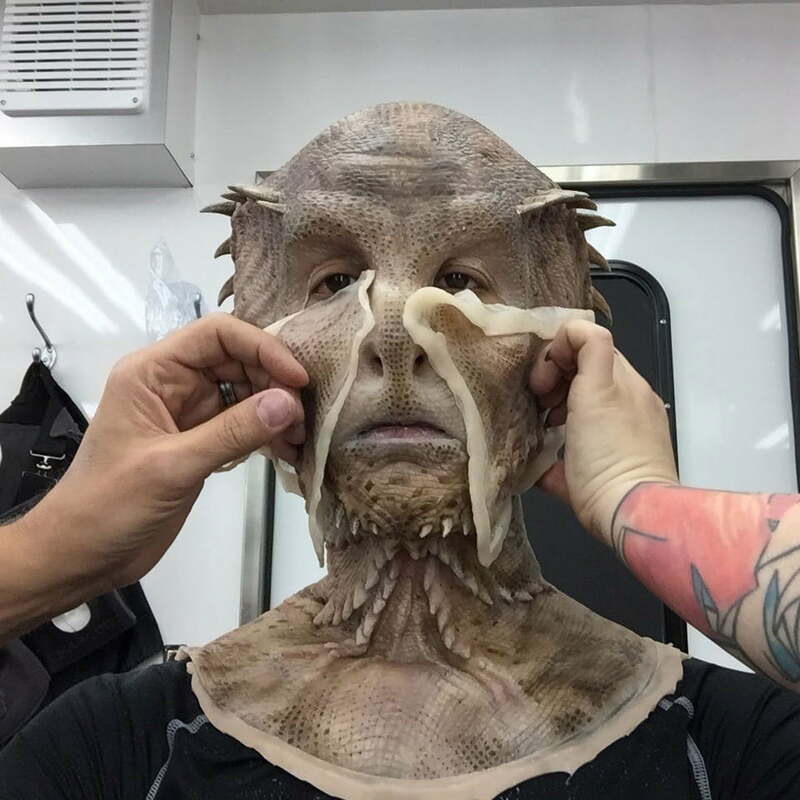 When you start translating that into three-dimensional, full-size makeup, it goes through changes. Inevitably, that’s the path you have to take. You have to refine things and alter what you were initially thinking to make it work. When you put specific actors behind those makeups, you alter it even further. But all the while, you try to maintain the integrity of the character. You wind up walking a fine line keeping that integrity and aesthetic intact while still giving the actor and the performer what they need to pull it off. Especially considering the caliber of an actor like Idris Elba, he has to be able to enunciate his dialogue underneath that level of makeup — as well as getting the character of Krall himself across, since he [SPOILER ALERT!] started out as a human before he goes through all that transformation. You must have worked with Idris directly to get the right balance as he essentially mutates throughout the film. Yeah, he goes through several stages of makeup transformation. And I have to say, if Idris wasn’t completely into the look of his character, it would have been very difficult. But he championed having the look be as extreme as it was. 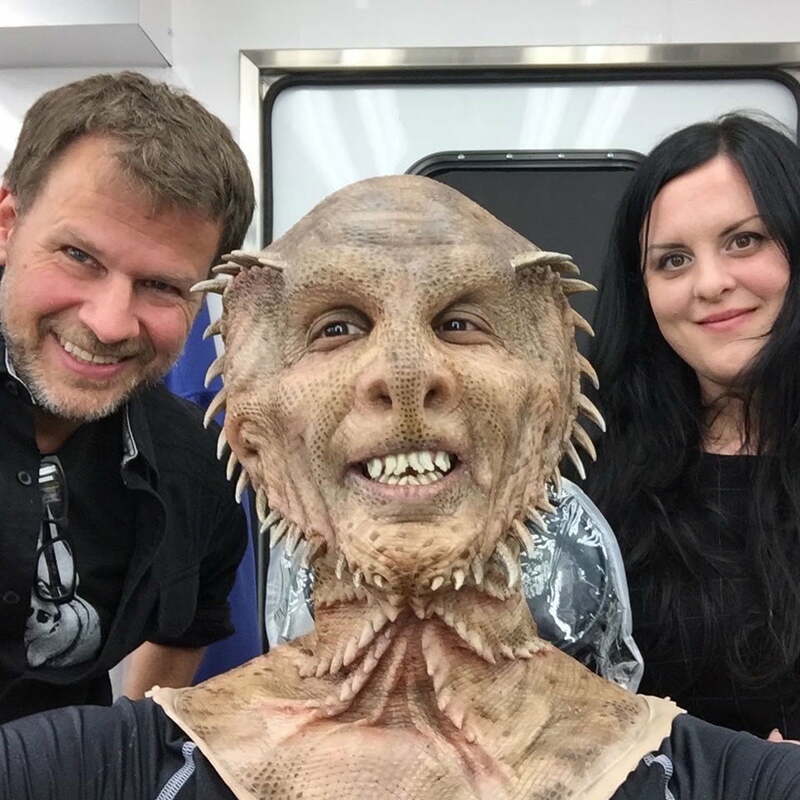 He completely threw himself into it — and my hat’s off to him for that, because the first phase of that Krall makeup is very extreme, as he transforms from being human quite a bit. If you didn’t have somebody like Idris in there as behind it as he was, it would have been a challenge for us to do our job, and it would have been a challenge for him to do his. But because he was so enthusiastic about it, he made it very easy and very collaborative for us all. That comes across onscreen, because the viewer gets the humanity of who the character of Krall is at the core before he transforms, and then we see the menace begin to come across as his look starts to change, becoming an amalgamation of all the life forces he’s taking. And it’s a reptilian look by nature, wouldn’t you say? Yeah, exactly. Certainly, there’s a bounty of strange life forms in nature, so you don’t have to look too far from what actually exists to pull interesting shapes from. 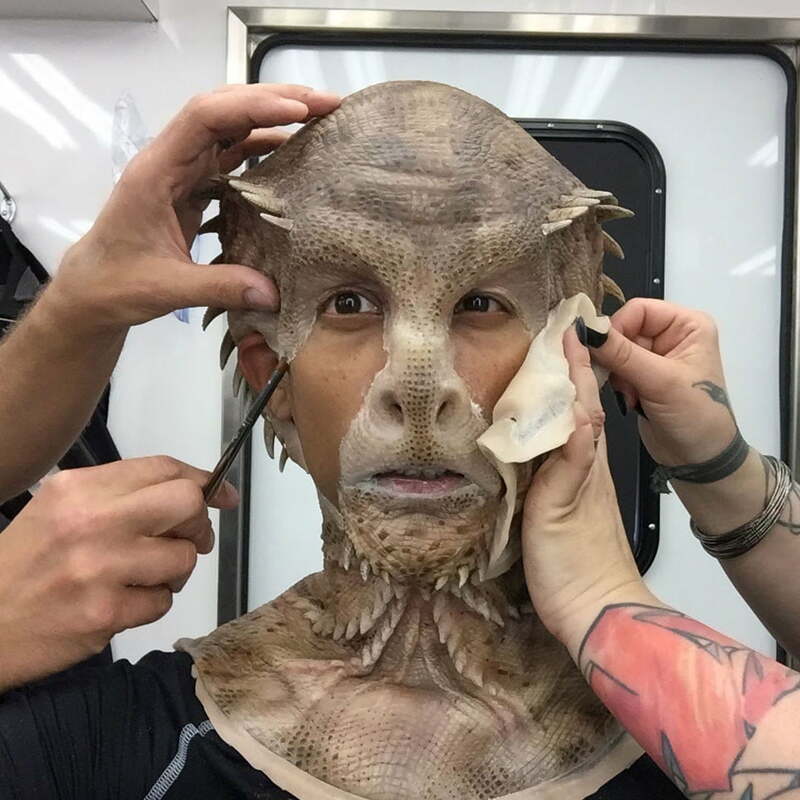 But for his character, what came to mind was, “Bearded dragon/Komodo dragon.” That kind of a look — without being overtly reptilian, there are definitely some reptilian elements in it, in keeping with the Star Trek tradition. We’ve had reptilian alien characters before, so this is a souped-up version of us paying homage to characters we loved from the series. We definitely feel that lineage. And then on the other end of the spectrum, we have a more “elegant” look for Jaylah, if we can use that word, especially in terms of her hair. In the bonus materials, it was discussed how each strand had to be handled individually. We knew that Jaylah had to be clean, streamlined, and beautiful — a character who would really resonate. It was all worthwhile. There’s a lot of white content in the hair and the face makeup, so that level of detail with the strands of hair comes across on the big screen, even when imposed on lighter backgrounds. It you didn’t define it the way you did, it would all just wash out. Exactly, exactly. And we intentionally designed Jaylah to be iconic. We knew that she had to be clean, streamlined, and beautiful — a character who would really resonate. And I think she does. She does. When I was watching the movie again on my laptop, I felt like I was missing some of the experience I got watching it originally in IMAX. You must feel this is not a watch-on-phone kind of movie, but something we should watch on as big a screen as possible. Yeah yeah yeah, absolutely! This movie is such a treat for the eyes — and I’m not just talking about our department. Everybody involved really brought their A-game to this. All the Star Trek films deserve the surround-sound, big-screen, IMAX experience that really shows off every department’s hard work. You noted earlier your work on two upcoming films, Logan and Black Panther. Are there any other comic book characters you wouldn’t mind tackling? I’d love to tackle something out of the Judge Dredd universe, actually. I’d love to see a Judge Death realized, or any of the other Dark Judges realized. They’ve already done two versions so far, and the last one, I really liked [2012’s Dredd]. Would you base your version off of the iconic, ’80s Brian Bolland 2000 AD-style Judge Dredd look, or…? Well, I really liked the Simon Bisley look and his interpretation [in the ’90s], and his Judgment on Gotham (the 1991 Batman/Judge Dredd crossover). I also liked Jim Murray’s Die Laughing (the 1998 Batman/Judge Dredd crossover). Wish-list question: You now have an unlimited budget. Is there something you’d like to do from the makeup chair that you haven’t done yet? Oh really? My dream project would be anything related to H.P. Lovecraft. When I was a kid, my father and I would take walks in Denver, and I would collect the old paperbacks from the used bookstores we’d visit, which don’t exist anymore. So, anything Lovecraft-related or Lovecraft-inspired would be a dream project for me. Well, there is some other franchise with the word Star in its name that the executive producer of the Star Trek franchise is involved with, so that one might also have need for some of what you do in the future.